Millions of people across Somalia, Kenya and Ethiopia are in crisis and, if the world does not pay attention, lives will be lost because they do not have enough food to eat—most of them children. After three years of poor or failed rains, crops and livestock have died and food prices are rising, leaving families with few options to feed themselves. Somalia, which has also been ravaged by two decades of conflict is on the brink of famine. Half of the population requires humanitarian assistance, with three million people facing a very grave risk of starvation if the spring rains fail and they do not have access to humanitarian aid. Since November 2016, an estimated 3,000 Somalis a day are being forced to leave their homes in search of water and food. 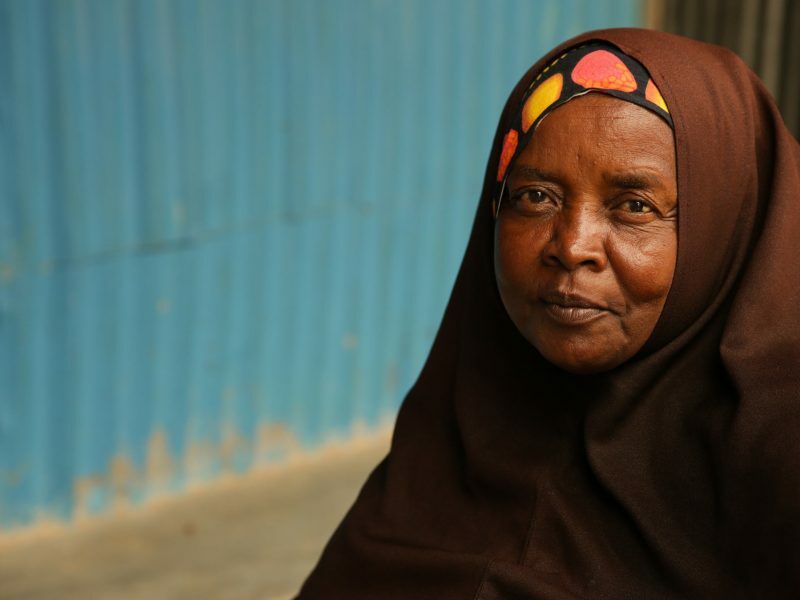 Tragically, for many families, it is not the first time they have faced such conditions: drought and a subsequent famine hit Somalia in 2011, killing an estimated 260,000 people. Half of them were children. The influx of Somali refugees is straining already scarce resources in Ethiopia and Kenya, which are also facing their driest period in decades as well as lost livestock and crops and rising food prices. The Government of Kenya has declared the drought a national disaster, with about 2.7 million people in need of food aid. In Ethiopia, still reeling from one of the strongest El Niño on record last year, 7.8 million people are in need of humanitarian assistance. Why is this drought so particularly devastating to families in the Horn of Africa? This is the third year of poor and failed rains across the Horn of Africa. Many of the hardest-hit communities are agro-pastoralist, which means they rely on the livestock and crops for food and income. The drought has devastated crop production. In some parts of Somalia, reports indicate that as many as 60% of livestock have died, while cereal production is down by 93%. This makes it extremely difficult for people to feed themselves. Why is Somalia at risk of famine and Kenya and Ethiopia are not? In addition to drought, Somalia is also rife with armed conflict and instability. This deadly combination of both violence and drought triggered the famine in Somalia in 2011 that killed an estimated 260,000 people, most of them children. Today, some of the areas hardest hit by the drought, such as Bay and Bakool, are largely cut-off to humanitarian organizations. If the spring rains fail, people’s purchasing power continues to deteriorate and we cannot reach people in-need, we could see a worst-case scenario unfold in Somalia this year. What needs to happen to avert famine in Somalia? Famine can be prevented, if humanitarian organizations have the financial support to deliver lifesaving assistance and we have access to people in need. Currently, the UN appeal for Somalia remains 50% funded. We need government and private donors to give us the resources to scale up our responses to meet the deepening needs. However, some of the communities who are most in need of assistance are in areas controlled by non-state armed actors where humanitarian organizations cannot operate. If we cannot reach drought-affected families with food, clean water, medical care and treatment for malnutrition, lives will be lost, most of them children. What specifically is International Medical Corps doing? In Somalia, we are reaching tens of thousands of people with lifesaving health care services, including treatment for moderate and severe malnutrition. This includes responding to outbreaks of measles and cholera/acute watery diarrhea, which are sickening thousands of people. We are also trucking water into areas of Mudug region, which has been particularly hard-hit, giving people not only access to safe drinking water, but also water to sustain the livestock. We are also providing primary health care and treatment for malnutrition in two new displacement sites in Mogadishu. In Ethiopia, International Medical Corps is working in 48 of the worst-affected woredas, providing water, nutrition and health support. This includes distributing seeds to households as well as supporting the government to treat moderate and severe malnutrition. Many of these services are targeting Somali refugees who fled drought and fighting for the relative safety of camps in the Dollo Ado region, near the Somali-Ethiopian border. 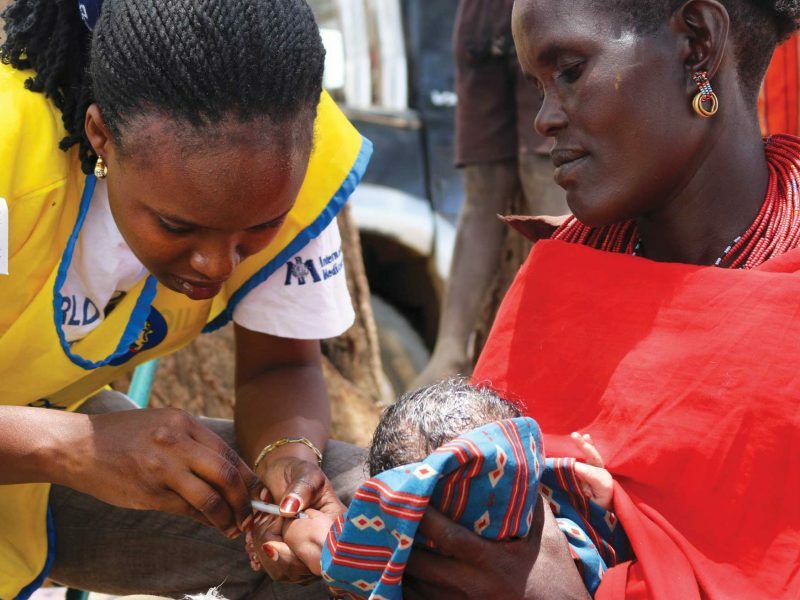 In Kenya, International Medical Corps is supporting health facilities to better detect and treat malnourished children and pregnant and breastfeeding mothers. We are also training frontline health workers in maternal, infant and young child feeding practices and helping households establish small gardens so that they have access to healthy, nutritious foods. Help save lives on the ground. In Somalia, International Medical Corps is scaling up our health and nutrition programs in Mudug, Galgaduud and Banadir, three regions facing emergency levels of food insecurity. We are also working in two new displacement camps in Mogadishu to provide health and nutrition services to families who fled their homes in search of water, food and assistance. We also run a 54-bed stabilization center in southern Mudug, where severely malnourished children with medical complications receive 24-hour care. International Medical Corps is also working with the Government of Ethiopia to treat malnourished children and pregnant and breastfeeding mothers. This includes helping to run 128 stabilization centers and providing outpatient treatment for malnutrition across more than 1,000 sites. We are also training more than 25,000 health professionals how to manage severe and moderate malnutrition. In Kenya, International Medical Corps supports health facilities to diagnose and treat malnutrition in arid and semi-arid areas. This includes training health care workers in how to identify malnutrition so that children are referred for appropriate treatment. In Somalia, International Medical Corps is supporting primary and secondary health care facilities across five regions of Somalia. We are also running mobile medical units in displacement sites in Mogadishu to make primary health care services available to families who fled their homes because of the drought. We are also responding to outbreaks of measles and cholera/acute watery diarrhea. This includes running cholera treatment facilities as well as scaling up vaccination campaigns against measles. We also support health care facilities in Ethiopia and Kenya so that drought-affected communities have access to lifesaving care. International Medical Corps is trucking water into Galkayo South in Mudug region to bring 19,200 drought-affected people safe drinking water as well as water to sustain their livestock. We are also rehabilitating water sources and distributing hygiene items. To help families plant in time for the spring rains, International Medical Corps is distributing seeds to nearly 15,000 households as well as providing livelihoods support to another 1,400 families. We also work with households in Kenya to establish small gardens so that they have access to healthy, nutritious foods. We have been in Baidoa for the last six days. It is hot, dusty, and barren. I traveled here with an International Medical Corps medical assessment team, looking at the needs of Somali families who have been forced to leave their homes because of drought and hunger. What we have seen is hard to believe. Baidoa is the capital of Bay Region and is roughly 150 miles northwest of Somalia’s capital, Mogadishu. Families who live in this region are seasonal farmers, which means they rely on rainfall to feed their crops.